The world famous ceramist, Alev Siesbye, designed this collection of vases for Rosendahl's Karen Blixen collection. 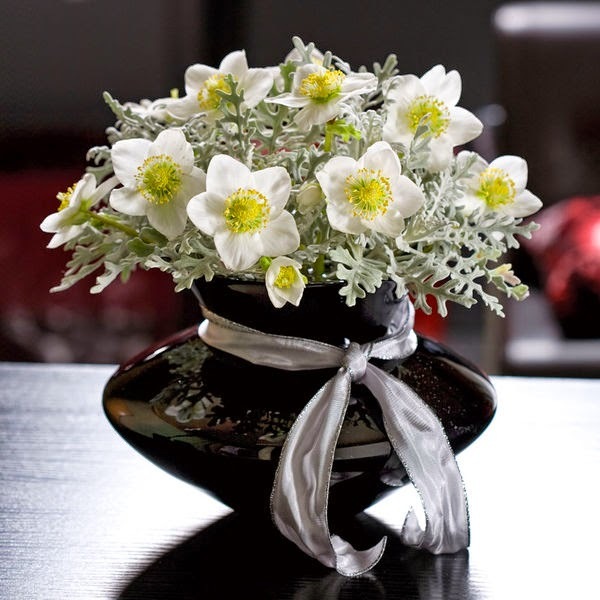 Made from Danish hand blown glass, this elegant silhouette is the perfect container to hold your favorite flowers. In midnight black you can constantly change your abundantly vibrant display according to the colors and flowers of the season. Short in stature, the Alev Siesbye is the perfect centerpiece for the dining table when entertaining guests for any occasion. The internationally acclaimed artist designed an incredible structure to a beautiful vase, which is now part of Rosendahl's Karen Blixen collection. The world-famous writer loved to surround herself with flowers, so it's no coincidence that Alev Siesbye found inspiration for the vase in Karen Blixen's elegant, artistic bouquets.